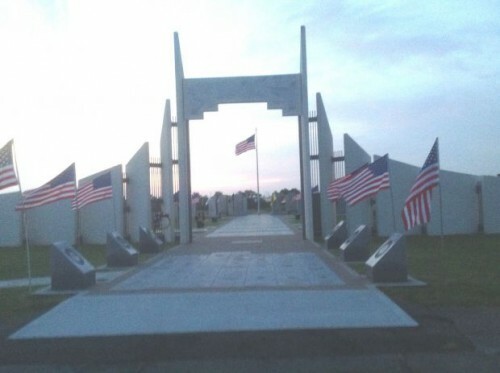 THE RED RIVER VALLEY VETERANS MEMORIAL IS A PLACE FOR REFLECTION, REMEMBRANCE AND GRATITUDE, WHILE HONORING AND REMEMBERING THOSE WHO MADE THE ULTIMATE SACRIFICE AND THOSE WHO SERVED WELL AND WERE ABLE TO RETURN TO THEIR FAMILIES AND COMMUNITY. OUR HOPE IS THAT THE MEMORIAL EDUCATES PRESENT AND FUTURE GENERATIONS OF THE SERVICE AND SACRIFICE MADE BY MEMBERS OF THEIR OWN FAMILY AND COMMUNITY, PAST AND PRESENT, TO SECURE THE FREEDOM WE ALL ENJOY-A CONSTANT REMINDER THAT "FREEDOM IS NOT FREE." FOR MORE INFORMATION OR TO MAKE A DONATION, CONTACT THE OFFICE AT 903-783-0945 OR VISIT OUR WEBSITE WWW.RRVVM.COM.